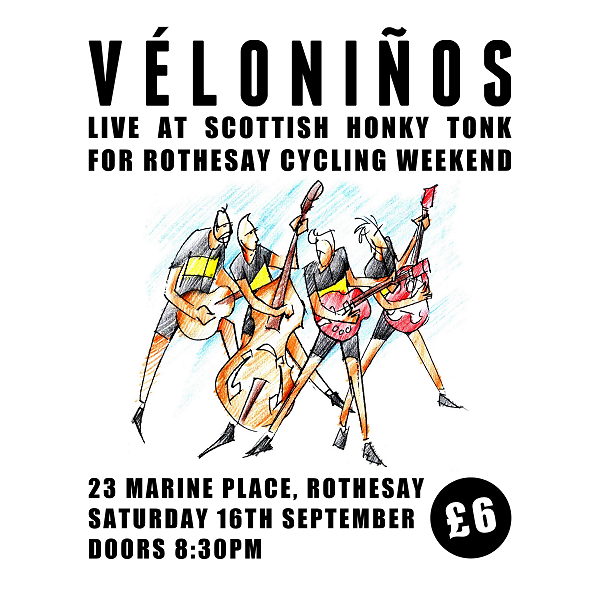 We are excited to be playing live at The Scottish Honky Tonk (23 Marine Place, Rothesay) for Rothesay Cycling Weekend on Saturday 16th September 2017. Doors – 8:30PM. Tickets £6 available by e-mailing info@butewheelers.org.uk / butesue@aol.com. Available on the day at Craigmore Bowling Club and on the door.